High Rollers room now open! 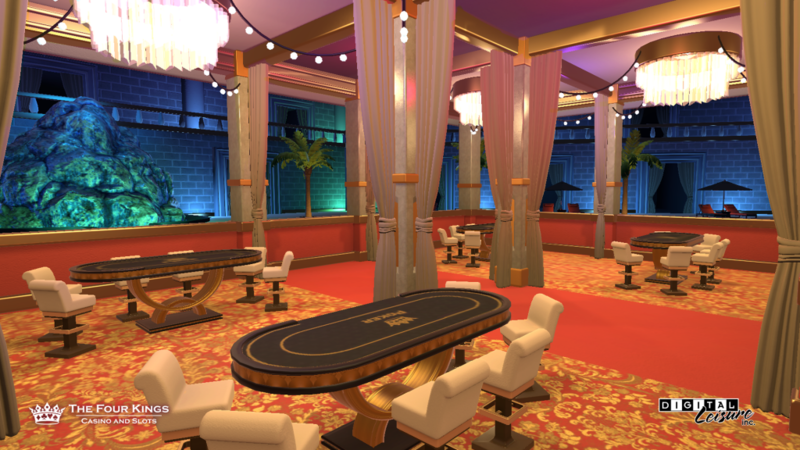 We’ve added a brand new area to the casino – the High Rollers room! This space is open to players VIP 2 or higher. Play your favorite games at super high-limit tables in a luxurious new setting! Look for the entrance to the left of the main stairs into the Lobby. The full list of high-limit games you’ll find here: Poker, Blackjack, Roulette, Craps, Baccarat, and War. There are also 3 new Trophies to earn by playing in the High Rollers room. Collect them all to show you’re one of the Four Kings’ top elite! Best of luck to all our high rollers! • Noblility 9 now available! Thanks for your continued feedback as we continue to work to make improvements for speed and reliability.